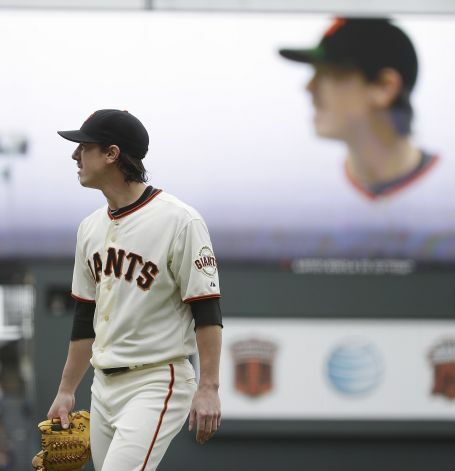 Tim Lincecum is one of the most loved sports figures in San Francisco history. And the things he is putting on his resume are usually reserved for Hall of Famers. What will Lincecum’s legacy be? He very well may have a similar legend as another pitcher who is beloved in Southern California. Those kind of thoughts fill today’s episode of The Sully Baseball Daily Podcast. Tim Lincecum, David Price, Scooter Gennett, Michael Brantley, Charlie Morton, Hector Noesi, Jose Reyes and Marlon Byrd all owned baseball yesterday all added to their totals for Who Owns Baseball. Posted on June 26, 2014, in 'SullyMetrics', MLB Podcast Network and tagged 2010 NLCS, 2010 World Series, 2012 world series, 2013 San Francisco giants, 2014 San Francisco Giants, fernando valenzuela, los angeles dodgers, no hitter, Paul Francis Sullivan, san francisco giants, Sully Baseball, Sully baseball daily podcast, tim lincecum. Bookmark the permalink. Leave a comment.